Never Enough Nails: Zoya Paradise Sun Collection Summer 20515 Swatches!! 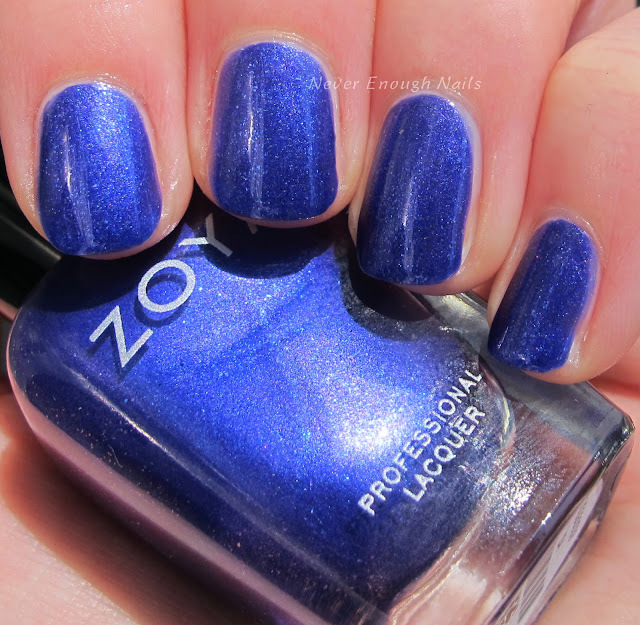 Zoya Paradise Sun Collection Summer 20515 Swatches!! Sorry it's been slow around here lately! We are wrapping up our regular dance classes for the year and that culminates in a recital that really takes a lot of time and energy to put on. I've been dying to get to the Zoya Paradise Sun collection, but my poor nails have been bare and sad lately due to the extra work. I finally have these pretties for you today. Zoya says these metallic polishes are "fully saturated with a gorgeous micronized metallic sheen" and "much like sunshine sparkling on water". 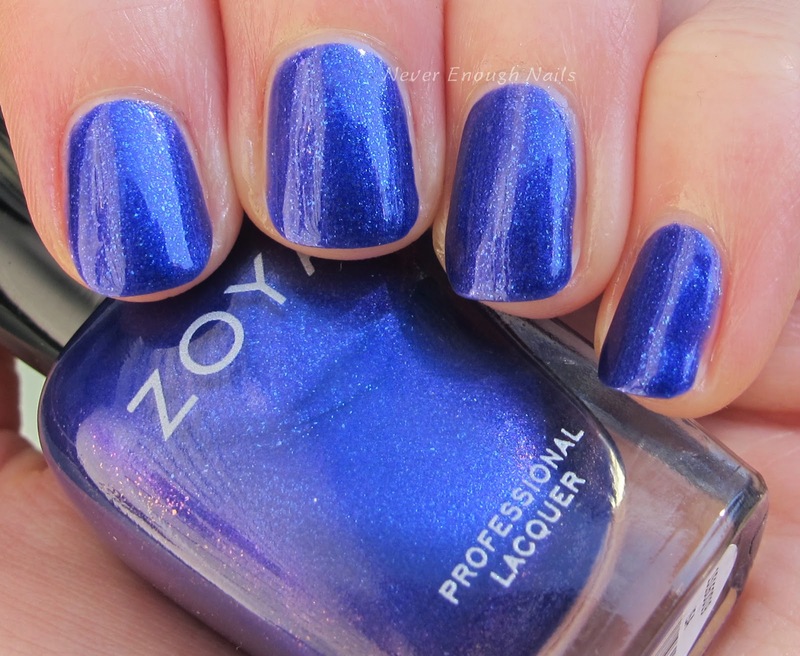 Zoya Isa is a gorgeous blurple metallic shimmer. I am not a huge fan of the word "blurple", but this really is one- a beautifully balanced combination of rich purple and royal blue. The shimmer is like teeny tiny flakes of reflective material, you can see what I mean in the shot below. Whatever "micronized metallic sheen" really means, it is lovely for sure! This is three coats of Isa. It was very easy to apply, but I would definitely let each coat dry before applying the next. I failed to do this in between the first and second coat, so it was a little patchy and needed a third coat. If you allow each one to dry, two coats should be perfect. All of these pictures have very little clean-up because I was running out of acetone! Luckily, the formula was very good and controllable. 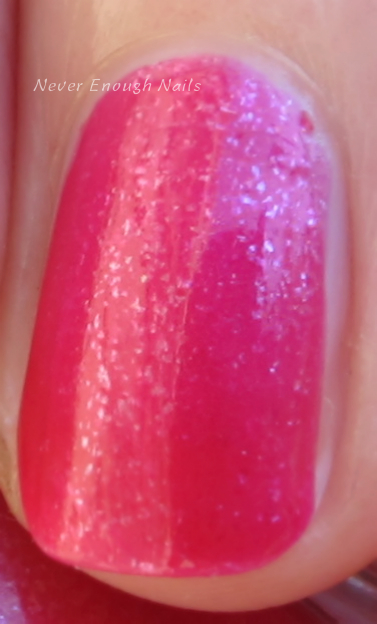 Zoya Mae is a sparkling bright fuchsia. It has some blue undertones and is nicely eye-catching without being neon. This kind of pink is usually flattering on a wide variety of skin tones. This is two coats of Mae. It was nicely pigmented and lovely to work with. 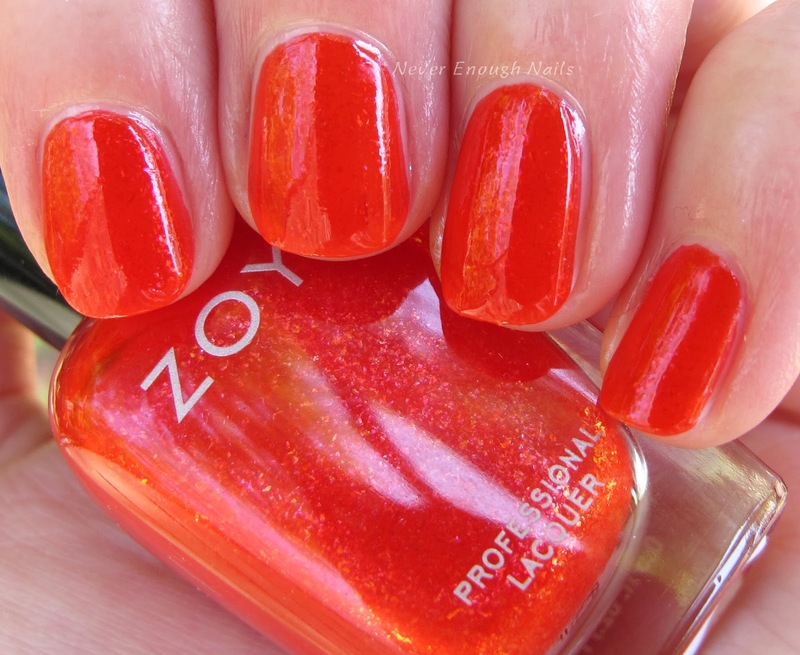 Zoya Aphrodite is a bright juicy red-orange with iridescent and gold shimmer. The shimmer in this is really pretty, it was hard to photograph. 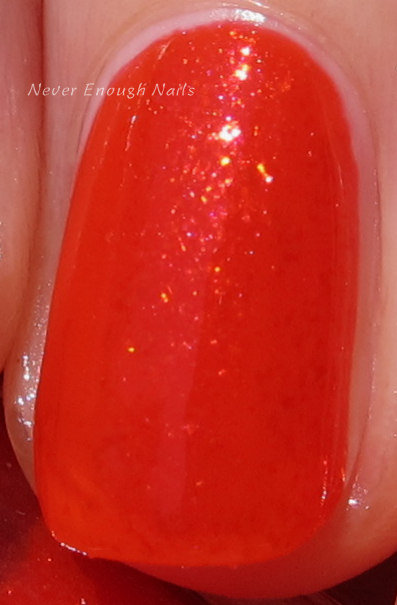 Zoya calls this a "summer red", but it leans very orange on me. I prefer orange anyway, so I'm happy about that! By the way, my bottle of this says "Aphroite" LOL. 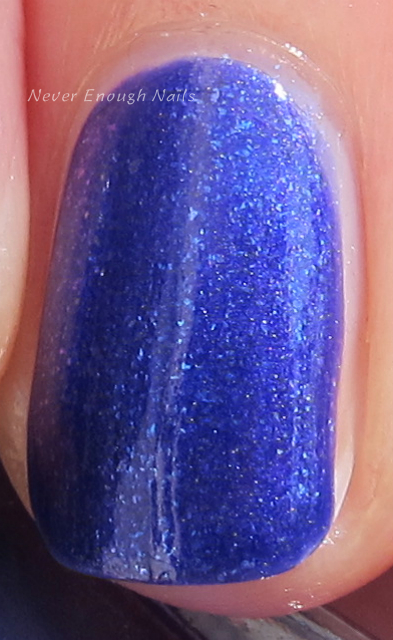 This is three coats of Aphrodite. It's a bit juicier than the others, so there was still a bit of VNL at two coats. If you like a Jolly Rancher looking mani, two coats will be fine. It was nice and easy to apply. 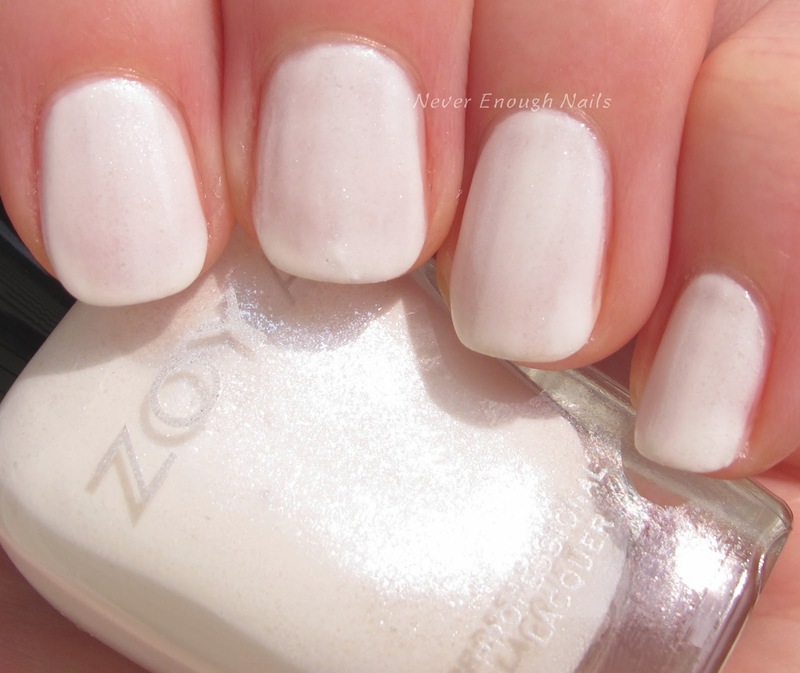 This sparkling crisp white is Zoya Genesis. Zoya says Genesis was "designed to look like micro-fine diamond dust". I've never seen diamond dust, but if it looks like this, that must be super pretty! I did find Genesis to be kind of streaky, although less so than many white polishes I have tried before. This is three coats. The opacity is pretty good, but I needed the third coat to even things out. I like to save the best things for last sometimes and the next two polishes are my favorites from this collection. 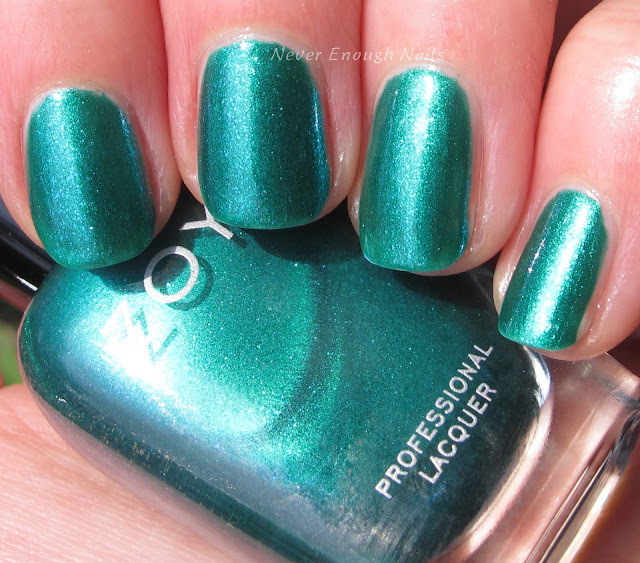 Zoya Oceane is a "true turquoise with a micronized metallic pearl finish that reflects the clearest blue ocean waters". That name "Oceane" and that description had me sold right away, but then this crystal blue shimmering beauty roped me in even more! Oceane has gorgeous green flashes in it, I think you can see some of this in the picture below. This is two coats of shimmering ocean perfection. By this time into my swatch session, I was totally out of Acetone, so this is with no clean up. Oceane is lovely to apply, no complaints here! I was really happy that I swatched Zoya Selene last, because I did all 10 nails and wore this baby right away! Selene is a stunning teal green with almost a duochrome flash of deeper blue-green to it. 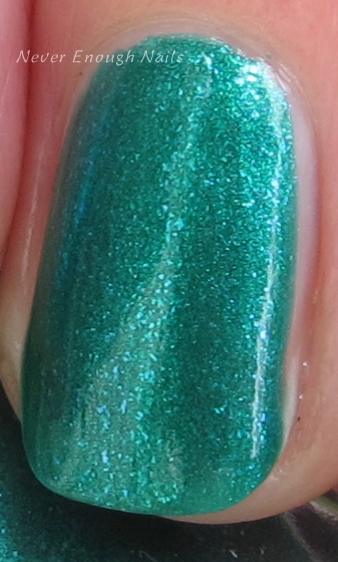 I had a hard time capturing that flash, but you can kind of see the blue-green in the lower middle of the nail below. While I wore this, I kept noticing the color looked a little different in different kinds of lighting. This is two effortless coats of Selene. Pigmentation was great and again, no clean-up. My favorites in the Paradise Sun collection are definitely Selene, Oceane and Isa. They're the stand outs in my eyes for sure. The formula of these are great, just watch for streaks with Genesis. The Zoya Paradise Sun collection is available now at zoya.com.